We announced support for IEC/European-style resistor symbols a few weeks ago, but we've just made them more convenient to use for our growing segment of international users. You can now choose to use these symbols by default in all new circuits you create with CircuitLab. Just go to your CircuitLab account settings and change the "Default Resistor Style" box to "IEC". The next time you open an editor window, you'll find that new elements you place will default to that style. 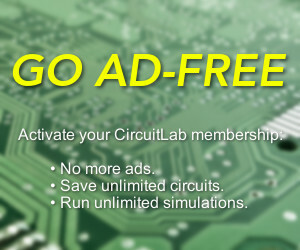 We hope this change makes CircuitLab a better schematic capture tool for our users across the globe. Wouldn't it be more useful to have this is as a display setting (as opposed to a circuit setting), so that circuits made in one side of the world can be viewed clearly at the other side "in their native tongue"?